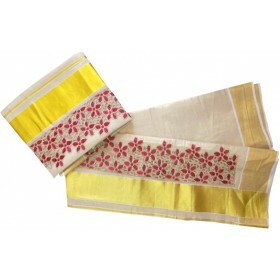 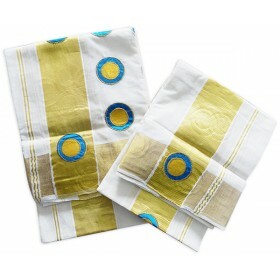 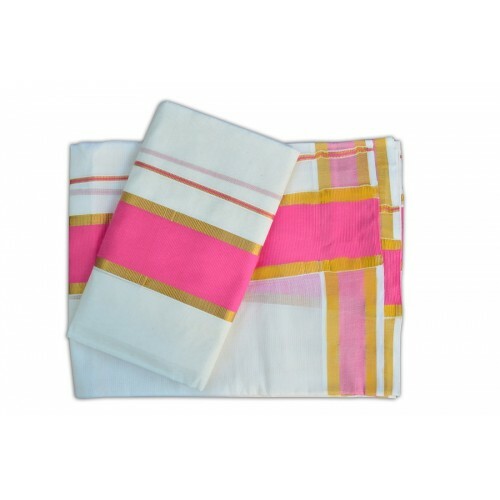 Kerala kasavu set mundu with women’s favourite colour light rose as border.it have 3 inches of light rose with golden stripe thick border horizontally and 2 inches border vertically. 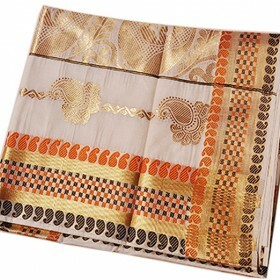 This is an amazing collection for beauty queens to make you more glamour in every auspicious occasion. 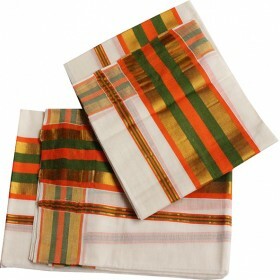 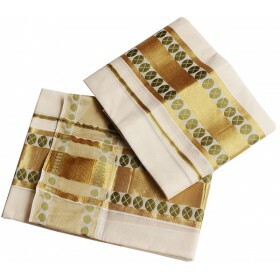 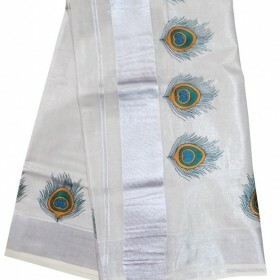 This is exactly pure cotton fabric for anyone to look like a modern traditional Kerala women.